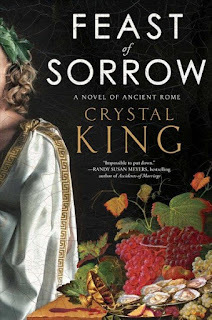 One book reviewer describes Feast of Sorrow by Crystal King as "“The Food Network meets HBO’s Rome." That is a spot-on description. For the December/January round, we travel to the time of togas. The novel's plot revolves around Thrasius, a slave who is coveted by many for his culinary prowess, and his master Apicius. 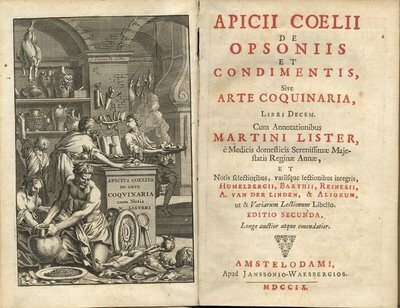 This is a tale of intrigue, power, and obsession as Apicius is determined to become the culinary adviser for Caesar. He sees his new slave as the key to his success. Apicius is based on a historical figure, Marcus Gavius Apicius, who lived during the First Century AD. He was known as a gourmand and epicurean and is often attributed as the first author of any known cookbook. Although the truth about Apicius' life is a bit sketchy at best, King takes historical references of his life (from ancient texts) and of his tragic death and fills in the blanks in this work of fiction. I cannot wait to see what ancient culinary delights are cooked up for this next round. For more inspiration and an interesting discussion of this book and ancient Rome, you might want to listen to "What Did Ancient Romans Eat? New Novel Serves Up Meals and Intrigue" (The Salt, April 28, 2017). The deadline for Feast of Sorrow is January 31, 2018. Anyone can join in by reading the current selection, preparing a dish inspired by its contents, and writing about it. Let me know when your entry post is up by commenting on this post and/or sending me an email at eliotseats@gmail.com. New to Cook the Books? Welcome to all! Check out our About and Guidelines pages or leave a question in the comments on this post. For our reading of The Patriarch, by Martin Walker, everyone seems to have enjoyed all the food and wine inspiration available throughout the novel, and we certainly had an incredible bounty to choose from. All the tempting selections by our participants with brief snippets follow. Please do stop and visit each one for their recipes, photos and comments about the book. First into the mix was Wendy from A Day in The Life on the Farm, with a yummy Braised Venison. Part of a fabulous meal that Bruno would have been proud to serve. She wrote, I "loved the setting of this novel. I could envision the beauty of the land. I wanted to taste the wine and partake in the many feasts in the story. I wanted to rent a vacation house on the property bought by Bruno's girlfriend and spend some time with the horses." She thought the characters could have been better developed, but enjoyed all the food and wine served up. "Perhaps if you've read all of the books leading up to this one, you feel that you know them all", Wendy said. 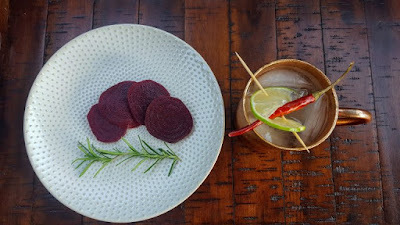 Next up was Terri of Our Good Life, who recreated one of Bruno's little hors d'oeuvres repasts, to be accompanied by her Jalapeno Infused Vodka. Sounds like a cocktail I'd like to mix up. She says Bruno " is a true Renaissance man, an unassuming .... gourmet cook, wine enthusiast, gardener who is dabbling in truffle oak trees, a hunter, and a dog man. He makes his own jams, pates, sausages, confits, etc. He rides horses and is a sensitive, caring man. Wish there were more like him!" Indeed! Camilla of Culinary Adventures with Camilla, treated us to drinks as well, with her gentian inspired Negroni cocktail, made with a new bitters favorite of mine, Bruto Americano. 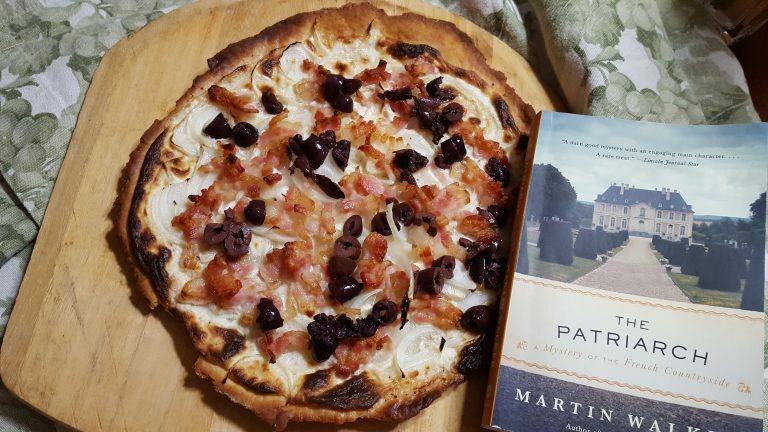 While she "wasn't enamored with the book, I did enjoy the descriptions of food that were sprinkled throughout". Deb of Kahakai Kitchen joined our dinner party with a stunning looking platter of Salmon Salad Nicoise. She also enjoyed the book, especially the food mentions, but was another who thought the characters could have used more development. A downside from choosing a book near the end of an ongoing series. Simona of Briciole and a Cook the Books host, contributed a lovely pairing of cabbages in a a side dish creation of Savoy and Radicchio. She liked the novel and thought it was "a pleasant read, weaving together into a tense plot, local politics, the history of WWII, and the past and present life of the various characters." With " plenty of food and wine in the story", even likening two of the principal characters to the two cabbages she chose. Debra, of Eliot's Eats, another one of our Cook the Books Club hosts, brought a fabulous Tarte Flambee to the party and though not much of a mystery fan, said: "Walker’s cast of characters (and there is a lot of them) did keep me intrigued along with the rustic traditions and beauty of St. Denis." She thought " the amount of feasting in the book is as rich and plentiful as the French countryside." 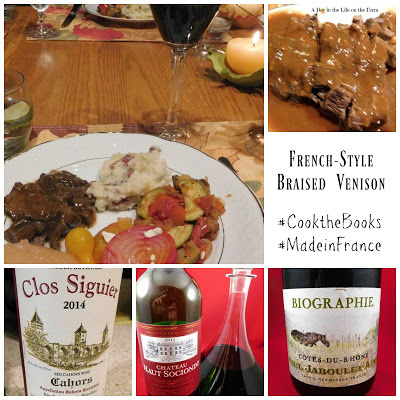 At Honey from Rock, I cooked up a dish inspired by an early mention in the novel, Bruno's Lamb with Monbazillac, however not having that wine available, morphed it into a braise, Lamb with Cotes-Du-Rhone, a nice earthy French red. Of course I loved the novel, being a fan of Martin Walker's series. His lead character, Bruno is such a well-rounded kind of guy, and a Foodie, in the best sense. I also enjoy the way Walker blends in local French culture, history and ongoing current events. After the deadline, but just in the mix, was Amy of Amy's Cooking Adventures with a warming Roasted Carrot Ginger Soup. 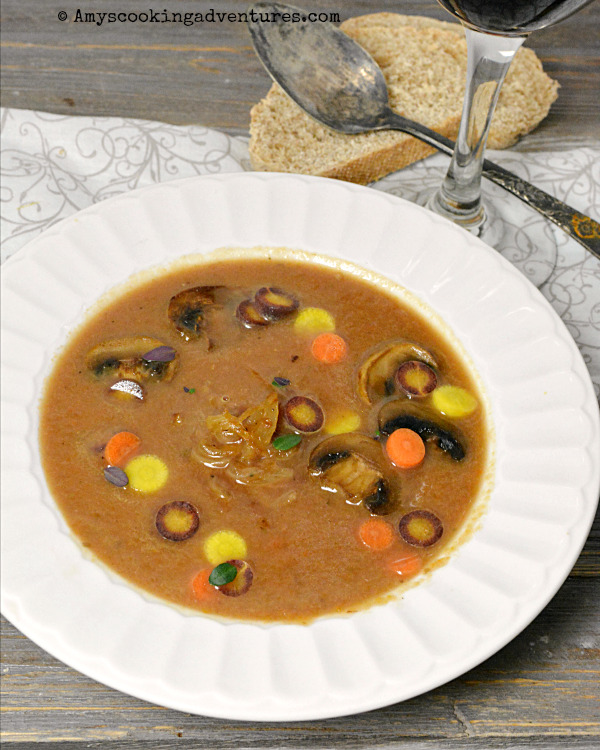 It looks to be just the thing to chase away any lurking colds. I would recommend reading Walker's series from the beginning. His first was, Bruno, Chief of Police: A Novel of the French Countryside. 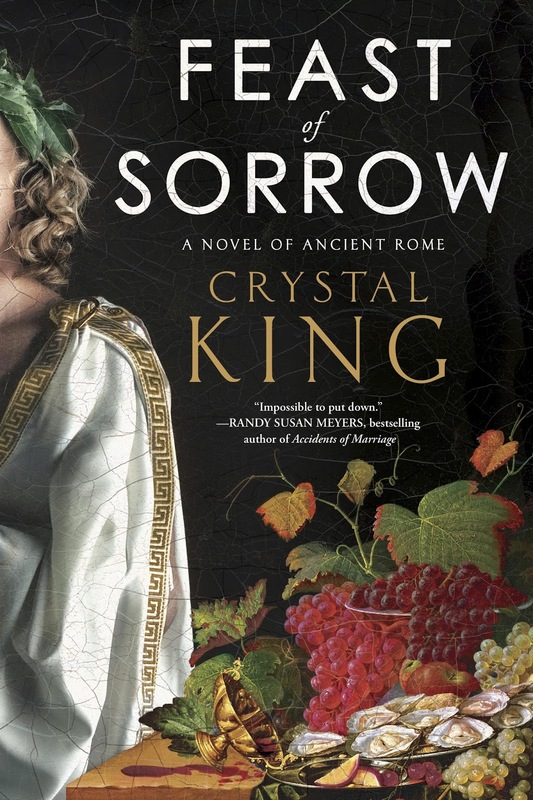 Do join us as we read and cook, inspired by our next selection, Feast of Sorrow, by Crystal King, a novel set in ancient Rome, and hosted by Debra of Eliotseats. The deadline for Feast of Sorrow is January 31, 2018. See you then! Our next Cook the Books Club pick, for October/November, is The Patriarch by Martin Walker. Martin Walker has written an engaging series of mysteries, all of which are international best-sellers. 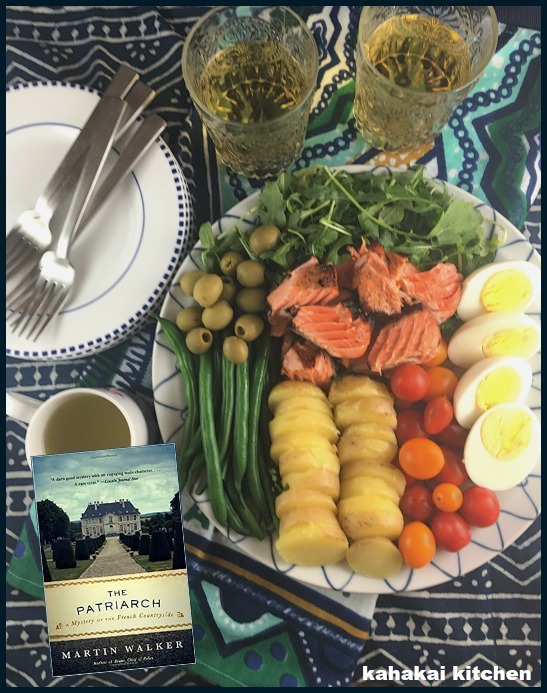 Set in the Dordogne region of France, he manages to enfold political and social issues, with romance, fine wines from the area and enticing food, to create a reading delight. I have been enjoying his books for a few years now, and wanted to share at least one with Cook the Books,especially for all their culinary appeal. The Patriarch is one of his best and a more recent addition to the oeuvre. Benoit Courreges, known popularly as Bruno, is Walker's charming protagonist. The Chief of Police in the small French town, St. Denis, he is a true Renaissance man: gourmet cook, wine enthusiast, a gardener, including his orchard of truffle oaks, a hunter and forager, able to produce his own jams, confits, pâtés, sausages, ham, etc. All that and he manages to solve the area's crime, settle domestic disputes, ride his horse with lovely ladies and more. What a guy! I find him quite inspiring. Submissions for this round of Cook The Books are due by end-of-the day Thursday, November 30, 2017. Anyone can join in - just by reading the current selection, preparing a dish inspired by its contents, and writing about it. Let me know when your entry post is up by commenting on this post and/or sending me an email at: claudiariley@yahoo.com. Farmer Boy: The (Delicious) Roundup! What fun it was reading all of the Cook the Books posts for our August/September selection, Farmer Boy by Laura Ingalls Wilder. (The announcement post is here) For some it was a reread of a childhood classic and for others, it was the first time--but everyone who joined in found some delicious inspiration. Here are the mouth-watering submissions for Farmer Boy. Like Almanzo, we definitely loved our apples this round! 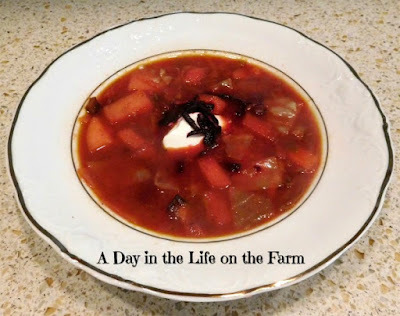 Each post links back to the individual blog and to the Farmer Boy inspired dish, so if you haven't had a chance to see all of the entries, please stop by the posts to see each person's thoughts on the book and more about their recipes. Camilla of Culinary Adventures with Camilla said, "I certainly don't remember there being so much food in these books. But Almanzo was constantly hungry. And his mother was constantly feeding him! "It takes a great deal to feed a growing boy," Mother said." 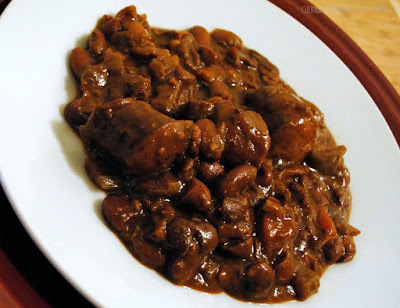 Camilla made Sweet Mellow Baked Beans with bacon, coffee and molasses, saying, "the dish that inspired me was baked beans. Almanzo ate the sweet, mellow baked beans. 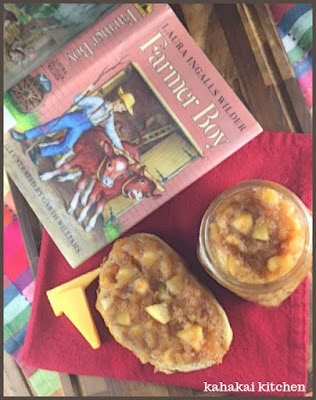 He ate the bit of salt pork that melted like cream in his mouth..."
Terri of Our Good Life said, "When I learned that we would be reading and cooking from Farmer Boy, by Laura Ingalls Wilder, I was so excited. I literally have read this book hundreds of times. Although many might say this is their least favorite of the Little House books, it is most definitely my favorite. ... Terri found her inspiration in the Wilder siblings making ice cream in the ice house and made her modern version of Dairy Free Homemade Ice Cream. Claudia of Honey From Rock enjoyed reading the book saying, "Talk about going back to the land. We have come so far from that sort of life. Refreshing to read about." 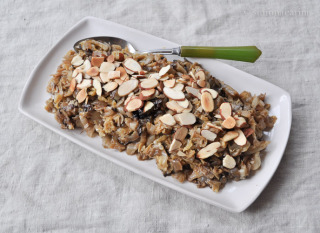 Claudia found plenty of inspiration, "So many good things were mentioned, among which was Bird's Nest Pudding, something I'd never heard of, even though it is an old time American dish. Also called Crow's Nest Pudding, it featured in an early White House cookbook, as well as the Little House Cookbook, and was served variously with sweetened cream, a tart sauce or maple sugar." Debra of Eliot's Eats said. "I was amazed (amazed, I tell you) as to the amount of food in the book. It seems like Almanzo’s memories and recollections (from which his wife based this novel) always revolved around food." Debra found her inspiration in one of Almanzo's favorites, "Almanzo said that what he liked most in the world was fried apples ’n’ onions." About her own Apples 'n' Onions, Debra said, "This was a very delectable dish, in between a savory side and a dessert. In fact, The Hubs had two servings for dinner. I am now thinking of a onion-apple pie and a Thanksgiving dish with a bit of bacon. Wouldn’t that be crazy delicious?" Wendy of A Day in the Life on the Farm listened to the audio book for her reread saying, "I listened to this book way back in July, while floating in the pool with my sister in law, Mary. 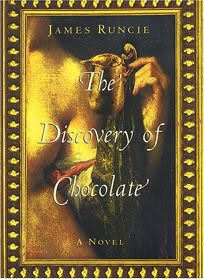 She enjoyed the book as much as I and we would turn it off and discuss different aspects of the story as they came up." Wendy was inspired by the description of Almanzo's mother's Apple Turnovers. 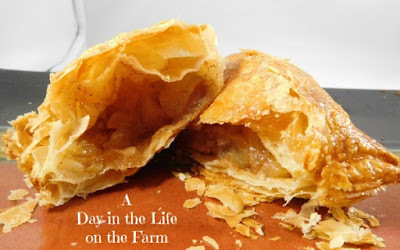 She said, "Tender spiced apples enfolded in a flaky, golden crust made for perfect little turnovers that I'm sure Almanzo would be drooling over." Lynda of Reviews, Chews & How-Tos found that "There is certainly no shortage of food inspiration in Farmer Boy! It is basically an homage to abundant food (and hard work, and the joys of farming - but mostly food and vast quantities of it)." 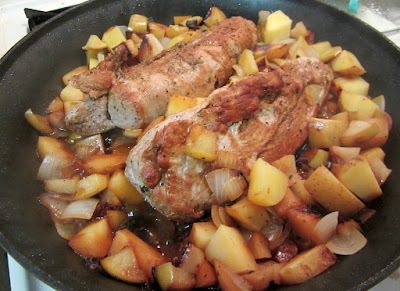 Lynda found inspiration in Almanzo's favorite Apples 'n' Onions, and made it part of a tasty dinner saying, "For our table, I served it along with Pork Tenderloin (they would have had pork, although I don't know that tenderloin was a cut used at the time - chops or a small roast would also work here), and I added potatoes to the saute, mainly because I had a few potatoes that needed to be used." This was a first time read of the book and author for Simona of Briciole, "It was an interesting read, giving me a glimpse into some of the literature people my age were exposed to during their childhood and a view into rural life and related activities in an age and place quite removed from mine." Simona found inspiration for her Apple Tart in the book's message of not wasting food, in apples and in pie saying "Almanzo likes all pies. I have nice memories of the first apple pie I tasted, during my first stay in the UK, homemade by my landlady with apples from her garden. Being Italian, my preference goes to crostata, the traditional Italian tart." 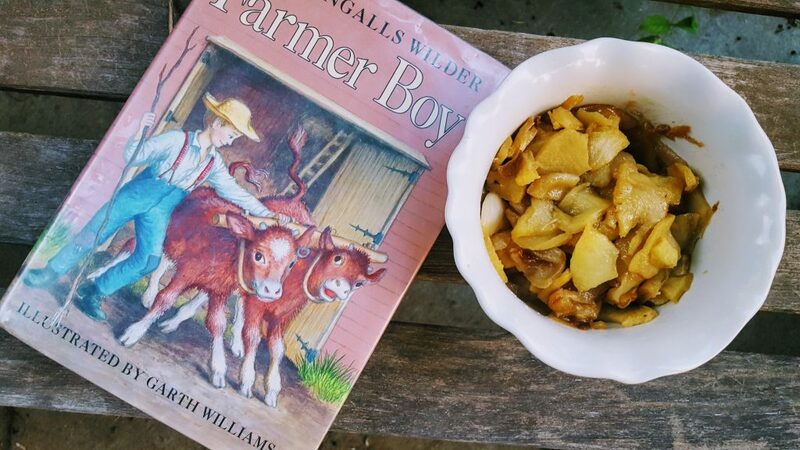 Amy of Amy's Cooking Adventures found Farmer Boy "in addition to being a wonderful book to share with my kids (I loved the Little house book when I was little), it is also packed full of foodie inspiration – and so so much of it revolves around apples! I love it!" 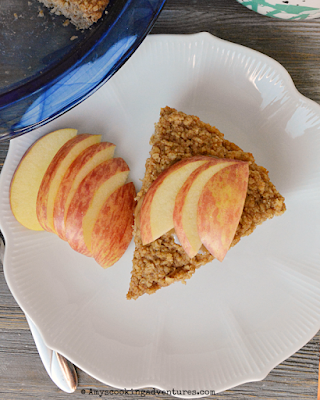 Amy made Apple-Cinnamon Baked Oatmeal saying, "In the book, Almanzo’s mother often serves apples (I still want to try my hand at Bird’s Nest Pudding) and oatmeal every day at breakfast for her hard-working family. So I made this healthy baked oatmeal (with a drizzle of homemade caramel sauce if you please) that would be sure to hold over even hard-working farm children!" Finally at Kahakai Kitchen, I too jumped onto the apple bushel and took inspiration from the fruit, as well as all of the jams and preserves Almanzo's family put up (and really, I was just too lazy to make a pie! ), making a really yummy Caramel-Apple Jam. I served the jam on fresh sourdough bread, spread with good butter, along with slices of Tillamook cheddar cheese. It was like the illusion of eating apple pie and cheese like Almanzo--but without having to bake. ;-) I really enjoyed rereading Farmer Boy (especially doing it with my CTB friends) and confirming just how much delicious food was in it. Mahalo to everyone who joined in this round! I believe that I have included all of the submissions that I received by email or by comments on the announcement post, but if I missed anyone--please do let me know. 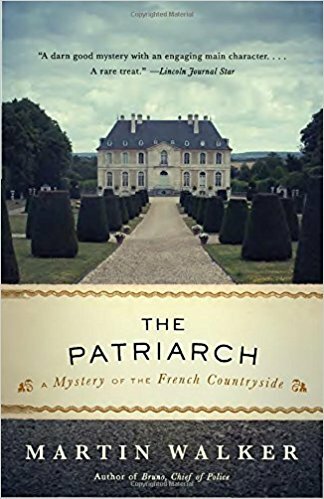 If you love food, books, and foodie books, please do join us for October/November when we will be The Patriarch by Martin Walker, a France-set foodie mystery, hosted by Claudia of Honey From Rock. Coming off of a spate of foodie memoirs, it's my pleasure to kick off our grouping of foodie fiction books, with Farmer Boy by Laura Ingalls Wilder, our Cook the Books August/September 2017 selection. Like many children growing up in the United States, the Little House on the Prairie books were a big part of my childhood. They were favorites of my mom, who loved pioneer stories and she read them to and with us over the years. The television series first came on when I was in elementary school and it stayed on the air into my high school years--so I definitely grew up with the stories and the characters. 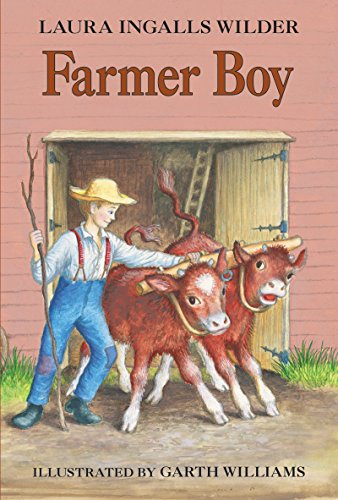 When I was younger, I was not that interested in the character of Almanzo Wilder--much preferring the stories with Laura as a young girl and life with the Ingalls family and so Farmer Boy is the book I am least familiar with out of the nine books in the series. A few months ago I was exchanging foodie book recommendations with friends on a favorite book site and someone brought up Farmer Boy and what a great foodie book it was. That sentiment was shared by a few different people and I decided I needed to reread this children's classic and the surest way to make it happen was to select it as my Cook the Books pick. Farmer Boy is the second book of the Little House series and was first published in 1933. It is the only book that does not focus on the childhood and life of Laura Ingalls and instead focuses on the childhood of her future husband, Almanzo Wilder. Set in the 1860s in upstate New York, before Laura Ingalls was even born, it begins just before Almanzo's ninth birthday and details life on the Wilder family's farm. Almanzo is pretty much constantly hungry and apparently quite the foodie, so I think we'll have a lot of fun exploring the food and recipes of America in the 1860s as we step back into childhood with this selection. I look forward to seeing what everyone comes up with! 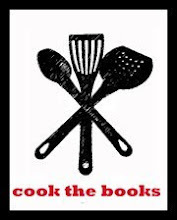 Submissions for this round of Cook The Books are due by end-of-the day Saturday, September 30, 2017. Anyone can join in the fun by reading the current selection, preparing a dish inspired by its contents, and writing about it. Let me know when your entry post is up by commenting on this post and/or sending me an email at: debinhawaii@gmail.com. 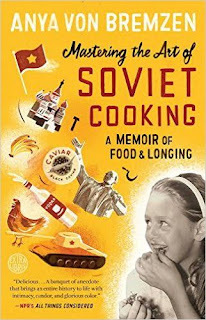 It's time for the roundup of Cook the Books' Club June-July 2017 edition for which we read the novel Mastering the Art of Soviet Cooking: A Memoir of Food and Longing by Anya Von Bremzen. For each contribution (given in order of publication), I will give you the official information (author, blog name and post title) and a brief quote from it — a teaser that will entice you to follow the link and read the details of how the reading inspired the activity in the kitchen. Now, please, make yourself comfortable, then follow me on a literary / culinary journey to the other side of the world. 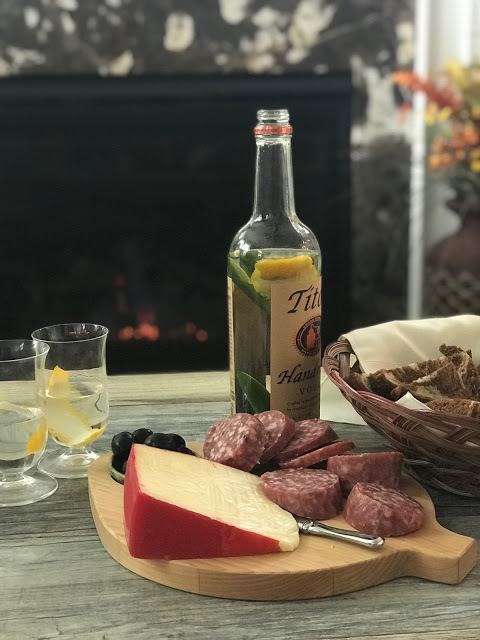 "I actually felt this was three distinct books - one about her family, one about her and her food, and one about Russian history - and they didn't mesh very well in my mind... But I did like her writing style... I was inspired to make a meal out of it. So, on my way home from the courthouse, I stopped at the market to pick up what I needed for two different dishes. I was intrigued by the Salat Olivier she shared because I have never put apples and fresh cucumber in a potato salad before... Very popular in Caucasus region, there are slight variations [of Chanakhi] from Azerbaijan to Georgia. 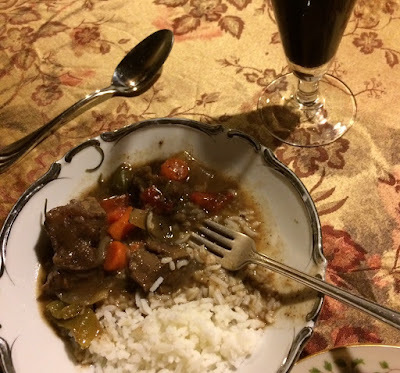 And though this dish is traditionally baked and served in individual clay pots, I cooked it in a Dutch oven." "Perhaps it was the narrator, perhaps it was the writing. Probably it was a bit of both. Once the storyline started dealing with Anya and her life, her feelings, her impressions... it got much better. The best thing about this audible memoir was the pdf file of recipes that were included... Anya's version [of Borshch] contains meat, kidney beans and apples none of which I have ever had in a Borscht before. This is more of a stew actually than the soupy Borscht of which I was familiar. I have to say that it was absolutely delicious and I can see why Nataliya missed it so badly. This is much more work than the other beet soups I have made and worth every moment of it." "Von Bremzen describes her and her family's life in the context of the political changes in Russia, the Soviet Union, then Russia again. Her style of writing is engaging — with the right balance of humor and seriousness. The food she describes is intriguing: even when we don't feel like we want to taste it, the emotional context comes alive in her words... Towards the end of the book, she talks about writing Please to the Table: The Russian Cookbook ... I had already put that book in my wish list, after browsing it in search of the recipe for a Russian dish. At this point, I was ready to get it." "In the book, the author strives to meld a history lesson, memoir, and food into a seamless, touching story. Instead, the book read like a dry textbook, followed by a memoir with too many people to keep track of... However, I did get my foodie inspiration in the form of Borscht, which is mentioned several times as a warm winter meal and once as a light, chilled summer meal... 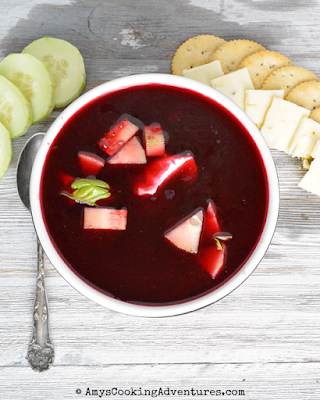 I made my recipe for chilled borscht and served it hot for dinner (oh my gosh amazing! ), then I served the leftovers chilled the next day for lunch (meh). Yeah, the amazing soup was not quite as amazing served chilled. I nibbled the cucumber pieces out of my bowl, then stuck it in the microwave. Much better!" "I can't say I loved the book, I kept losing the story of interest to me in the deluge of Russian history as seen by the author as a child, teen and grown up. What I did love, however, was the role that food, or the lack of it, played in her life. What I loved about the book was the apparent deep connection that the author has with her mother and how they developed their relationship over food. This resonates with me, as I am often asking my mom to share recipes from my childhood with me... It was an easy choice for me to choose this dish. First, my maiden name is Oliver and our family loves my mom's potato salad. 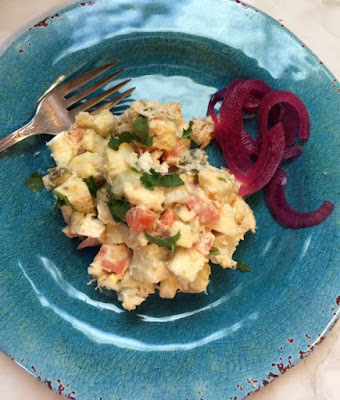 It has a similar base of potatoes, boiled eggs and mayo." "My sister and I both read this book. She loved it and thought it was hilarious. I wanted to love it and think it was hilarious. Although I enjoyed the book and am glad it was a CTB feature, I felt like I was reading more of a history book than a memoir of 'food and longing'... As her story becomes her own and she and her mother emigrate to the US, I became more responsive. I even thought her description of her early childhood in the USSR as a bit witty, ironically enough... I could have done borscht or madeleines or gefilte fish or a number of the other recipes mentioned in the book. But instead… drum roll, please… you know I made a cocktail." 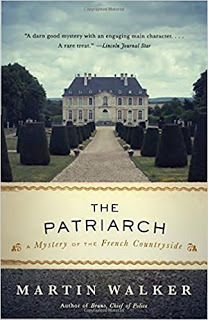 "Anya weaves in her memoirs with family tales starting pretty much after the fall of the royal family to modern history. She covers family stories dating back a few generations all the way to her immigration to the US. But the book is super heavily dosed with historical facts, more like a scholarly book. Since I had a personal interest, I just devoured all the information... Nalysnyky are thin Ukrainian golden crips crepes rolled up with a cheese filling that can be either sweet or savory. This savory version is made with a few snippets of fresh dill. Once the crepes are rolled up, they are cut into three sections and layered in a dish before a quick baked stint in the oven. And don’t forget to lubricate each layer with a healthy dose of butter." "The book was a bit tough to get through with all the Russian words and especially its references to obscure public figures. But the stories about her family and experiences were fascinating, especially her adventures in the kitchen with her mother. She recounts in Chapter Six that the 60’s were remembered by Russians for one of the worst crop failures of an era... People spat at piles of canned corn, saying 'all corn and no bread'... Quite a difference from my annual obsession with fresh corn picked that day at my favorite farmstead. Whenever I go to one of our neighborhood summer gatherings, I make sure to bring my Indian corn pudding casserole... 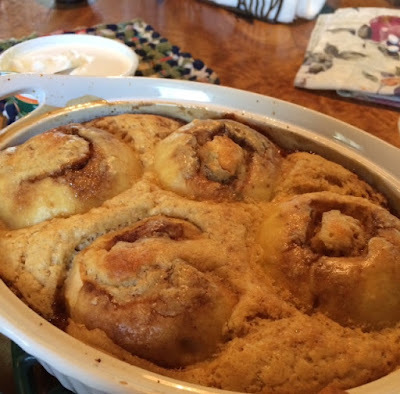 It feeds a crowd and in fact is an easy dish to make dish that can be baked in advance and reheated." "The book picked up its pace for the second half and I enjoyed it much more, through to the end--which included a recipe for each decade. I think foodies who are also history buffs, will enjoy Mastering the Art of Soviet Cooking the most. Since I am not that familiar with Russian food and culture as compared to other countries, I'm glad we read the book and I walked away learning a lot--always a bonus... 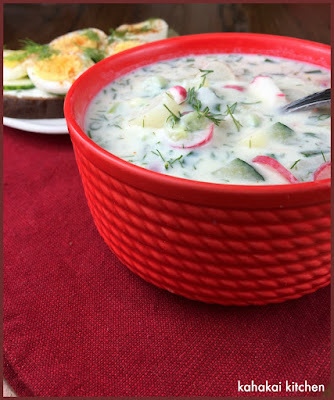 Traditionally, Okroshka is made with kvass, a rye-based fermented drink that is obscure here in America but yogurt or kefir, which is very easy to find nowadays, are great substitutions to add that fermented tang to this soup." "Anya held a secret fixation with Lenin, despite her mother's anti-Soviet hatred of all he stood for. However as a child she considered herself a 'Mature Socialist'. That whole story is the funniest bit in her memoir. At the age of 9-10 years old, a 'proper black marketeer' she is bartering bits of Juicy Fruit gum and M&M's for money, services and favors, and eating at a nice restaurant from her proceeds, instead of attending a 'silly ballet' class... There was so much I would like to try as far as food... What I did settle on was the Soviet-style Potato Salad, Salat Olivier. Though just substituting our own breadfruit - very potato-like, for the potatoes, celery instead of cucumber, and added some radish. Also left out the apple, as that was not traditional anyway, but an addition by Anya's mother." A great Thank you! to everyone who joined in this edition of Cook the Books. I believe all the submissions I have received are presented in the roundup. However, mishaps are part of life, so if you find anything missing or in need of amendment anywhere in the roundup, please do let me know. And now, I’ll turn things over to Deb of Kahakai Kitchen who will host the August-September edition in which we will read Farmer Boy by Laura Ingalls Wilder.